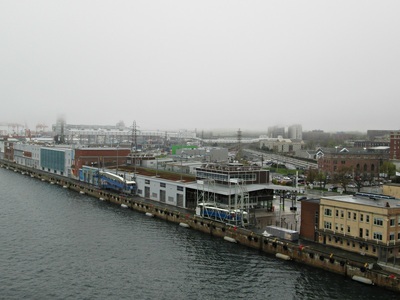 “(...) Rejs ten odbyl sie w lipcu 1940 na trasie Greenock, Szkocja (Baza Marynarki Brytyjskiej) - Halifax, Kanada. M/S BATORY mial wowczas na pokladzie duzy ladunek skarbow wawelskich ktory mial byc przewieziony do Kanady w celu bezpiecznego ich tam ukrycia. Wsrod tych bezcennych przedmiotow znajdowalo sie 136 ogromnych arrasow z XVI wieku, insygnia wladzy krolewskiej z 1320 roku, 36 manuskryptow Fryderyka Szopena, oryginalna biblia Gutenberga i wiele innych zabytkowych przedmiotow. 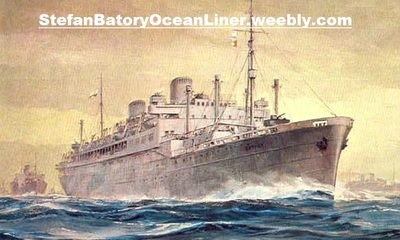 The M/S BATORY, flagship of Poland's maritime fleet, upped anchor in, Greenock, Scotland, in the Clyde estuary on July 4, 1940 rounded Ailsa Craig, and ploughed into the unforgiving Atlantic Ocean bound for Halifax, Canada. 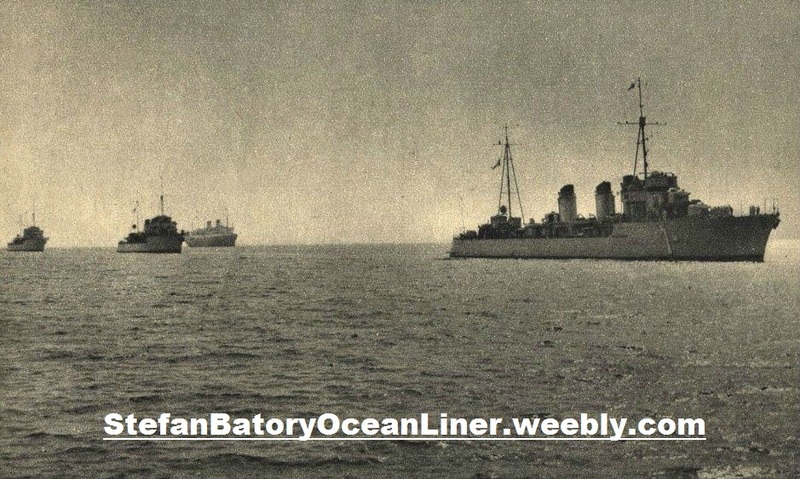 His Majesty's Royal Navy provided a convoy of heavily armed escorts - a battleship, destroyers and cruisers. As the armada neared Newfoundland and Canadian waters fighter planes, bombers and Coastal Command flying boats rode shot-gun overhead to provide air cover. M/S BATORY was carrying the richest treasure in history - far surpassing the riches carried by any Spanish galleon from the past. 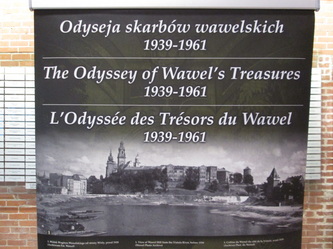 BATORY had in her holds a small fraction of Poland's national Art Treasures from WawelCastle in Cracow (Poland) bound for Canada for wartime safe-keeping. In addition, she was carrying several hundred millions of dollars worth of gold bars - reserves of the Bank of England which were being dispatched to the vaults of the Bank of Canada on Wellington Street. The British were taking no chances on the billions falling into enemy hands should their island fortress fall before a German invasion. 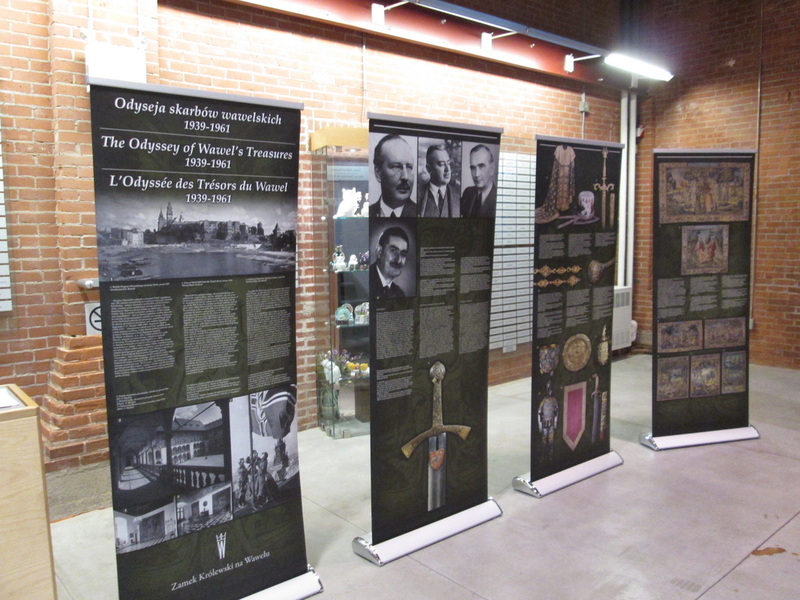 The Polish national Art Treasures were carefully packed in specialty constructed large trunks and long metal tubes. The value of the Polish cargo was beyond affixing a price tag. Priceless was the only word that could possibly describe the monetary worth. 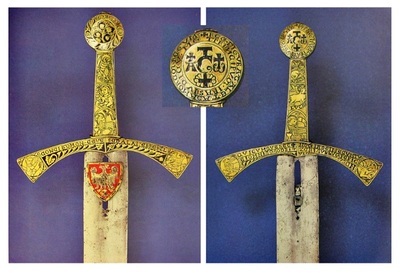 The consignment included: 'Szczerbiec', the jeweled Coronation sword of Polish Kings dating back to 1320, a two volume of Gutenberg Bible, 136 Flemish Tapestries some of which had been commissioned by King Sigjsmund III Augustus between 1549 and 1572, an aquamarine sceptre set in gold, the sword of the Order of the White Eagle and the Chain of the Order last used at the Coronation of King Stanislaw Augustus Poniatowskii in 1764, the Prayer Book of Queen Bona, religious manuscripts from the 13th century, the 14th century Florian Psalter - the oldest translation of the Psalms into the Polish language, the Annals of the Holy Cross, written by Archbishop Jacob of Znin in the early 13th century and thought to be the oldest preserved original Polish document, 36 original F. Chopin compositions and 13 pieces of the composer's correspondence, hundreds of pieces of gold and silver cups and mugs, sabres, salvers, clocks and suits of armour from the 17th century and a chessboard belonging to King Sigismund III from 1608. 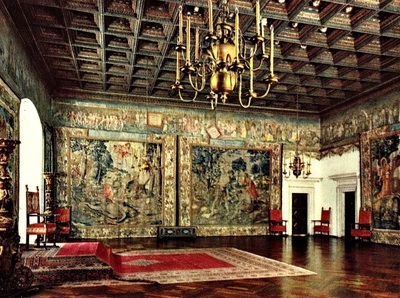 Curators at WawelCastle in Cracow had planned well for the safety of the national collection. The planning began when Adolf Hitler's Germany swallowed up Czechoslovakia. Six months later the very first Luftwaffe bombs of the Second World War fell on Cracow on September 1, 1939. Sixty Heinkel bombers dropped 48 tons of bombs. It was time for the Treasures to begin their journey to safe-keeping. The Polish Army had to renege on its commitment to provide transport. Cracow police were powerless to help. Polish rail service had come to a standstill because German bombs had destroyed tracks and railway bridges. All marine transport on the VistulaRiver had been commandeered by the military. 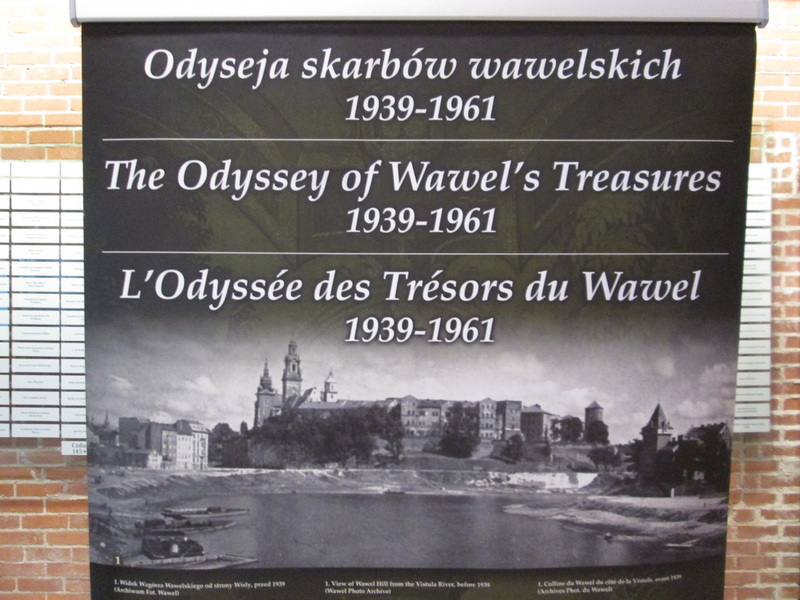 The Wawel Castle staff located a decrepit coal barge 60 meters long They also found a wagon - but no horse - to transport the precious cargo from the Castle to the river a mile away. Finally, they located a tractor and hitched it up to the wagon. They worked all night and into the next day transferring the treasures on board the barge. They barged down the Vistula only at night, running without lights and holing by day and camouflaging the barge. There were 82 passengers on board the barge - WawelCastle staff and their families. The barge sailed under burning bridges and flaming pieces of wood fell on the deck, they slipped past German tanks growling along the west bank. It soon became evident it, was too dangerous to continue on the Vistula. The treasures were off-loaded and taken by a horse drawn wagon train to Lublin (south-west of Poland), 40 kilometers away. The Luftwaffe flew overhead strafing the roads and the 40-kilometers took more than two days. In Lublin their luck changed and the Polish Army offered motor transport. 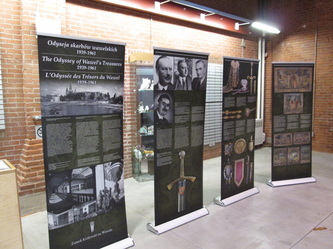 The custodians of the treasures did not linger in Lublin which had been bombed the previous evening. Fierce ground fighting was being waged to the north and west. The treasures crossed the Dniesti River into neutral Rumania and the comparative safety of the border town of Starozyniec. From there they went to Bucharest where they found total confusion at the Polish Embassy.The curators were told there was no room "in the inn" - no space for the treasures or their minders and families. The British Embassy came to their aid and offered a secure garage as a safe storage place. What to do? The Poles did not trust King Carol of Rumania because he was being pressed by Germany to impound the Treasures in Rumania. The Poles asked the Papal Nuncio in Bucharest for sanctuary in Rome. The Vatican's answer came back swiftly; the Holy See looked upon the Polish art treasures as secular objects with no religious importance. Vatican protection was denied. The Polish government-in-exile was operating out of France and ordered the Treasures brought there. The cargo was loaded on a freight car and transported by rail to Constanza on the Black Sea.Through the Dardanelles into the Aegean Sea on board the Rumanian freighter M/S ARDEAL, inspected by a British destroyer, on to Piraeus and Athens, Smyrna and Turkey, stopped again by a British destroyer and escorted to a British naval base at Matta. The ship's cargo of barley was suspected of being bound for Germany. Luck was on the side of the Poles. 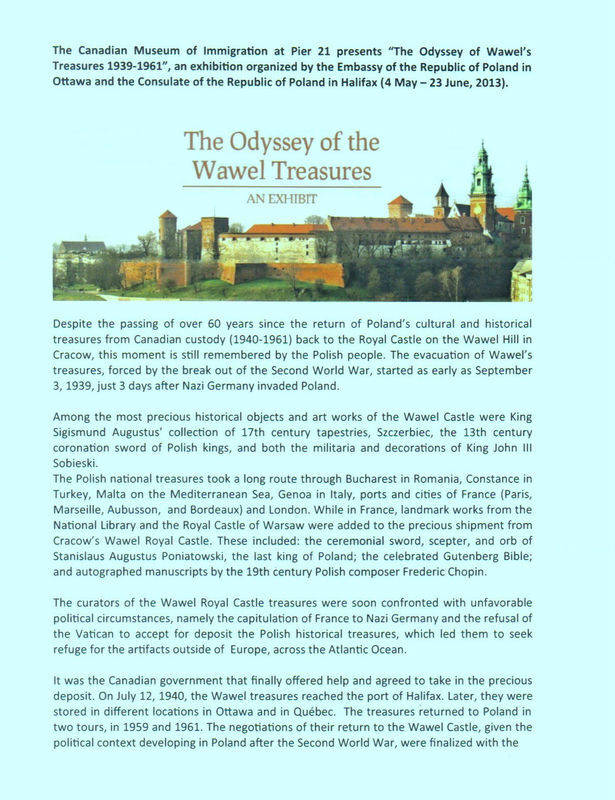 The Chief Curator, Dr. Stanislaw Swierz-Zaleski, had once received Chevalier Scicluna, Director of the archives of the Knights of Matta, at Wawel Castle. The Chevalier was a friend of General Bonharn-Carter, Governor of Malut, and he stepped in to allow ARDEAL to continue on to Genoa. The priceless cargo docked at Genoa on Christmas Day, 1939. 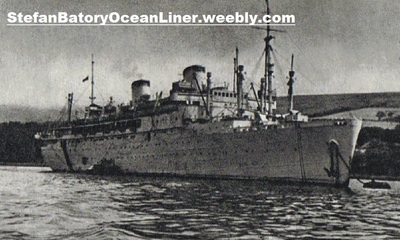 ARDEAL sailed on to Marseilles, France, on January 7, 1940, and arrived the next day. 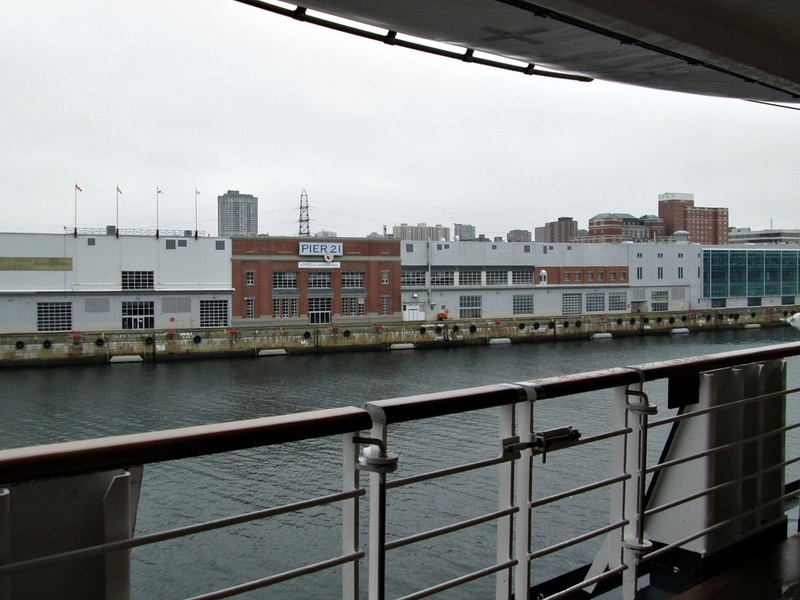 The French authorities threw a massive security blanket around the dock. The crew, of the ship had no idea how valuable the cargo was they had carried. The treasures next went to Aubusson, France, a historic center of tapestry weaving dating back hundreds of years. On May 19,1940, the custodians were advised France was no longer safe and to prepare the treasures for evacuation to Bordeaux and from there to England by sea. 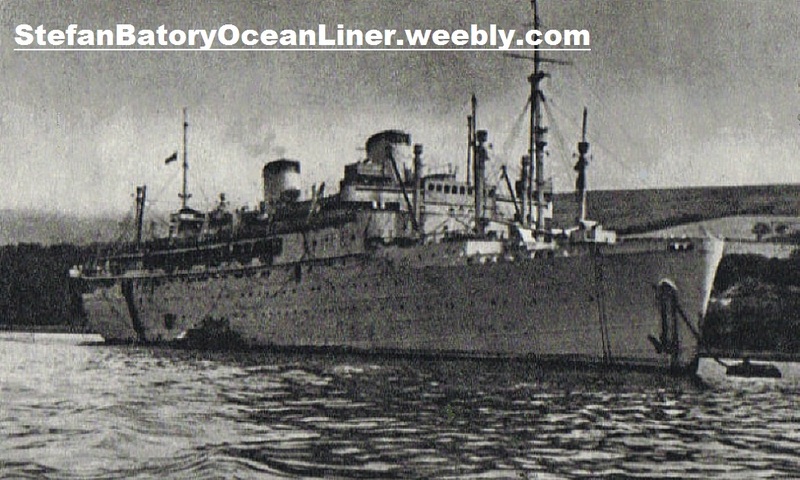 The Polish coal ship M/S CHORZOW sailed from Bordeaux on June 17, 1940 and crossed the Channel with 193 passengers, many of them Polish Airmen anxious to continue their fight against the Germans with the Polish air force squadron at Northolt. 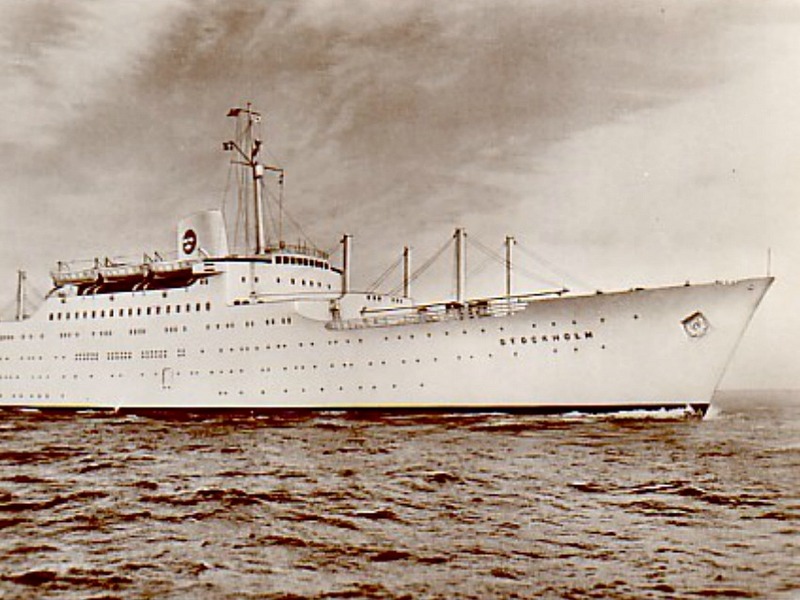 One of the ships alongside CHORZOW was hit by a bomb, so the Captain of CHORZOW peeled of and made it safely to Falmouth alone and unescorted. The voyage of the Polish Art Treasures was not over. From Falmouth they were transported by rail to London and stored in the Polish Embassy at 47 Portland Place but they did not stay there very long, London was under air attack, the Battle of Britain had begun; strategists feared a German invasion. 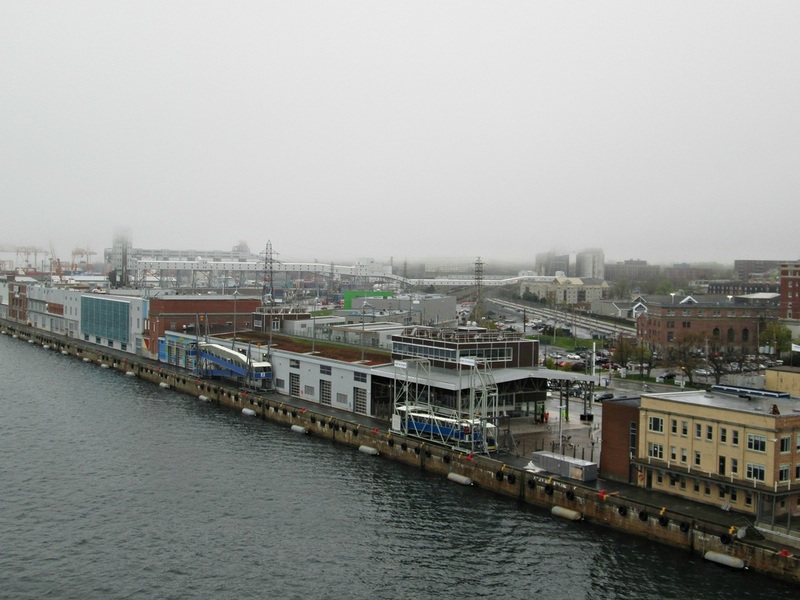 The Canadian High Commissioner in London consented to their removal to Canada for safe-keeping and they were taken by rail to the Clydeport of Greenock, Scotland. 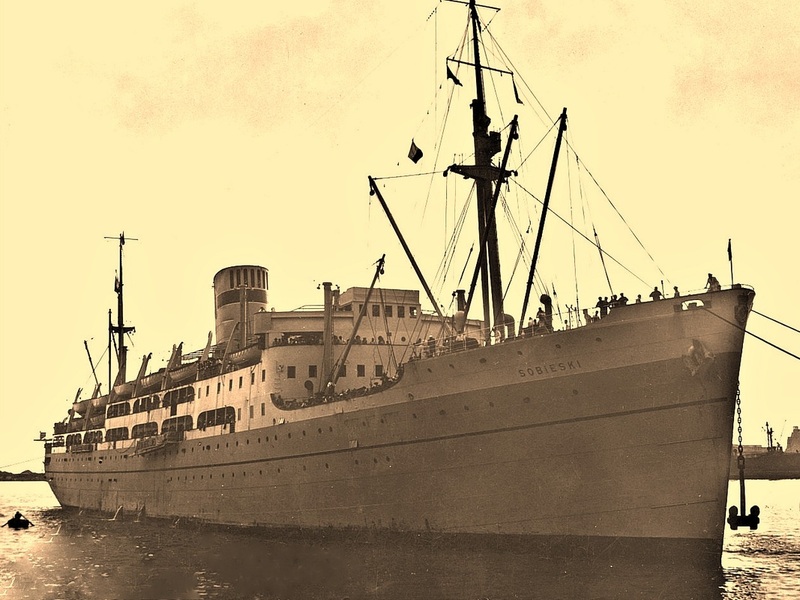 As the M/S BATORY upped anchor none in their wildest dreams ever thought it would be more than 20 years later that the Art Treasures would go home to Wawel Castle. 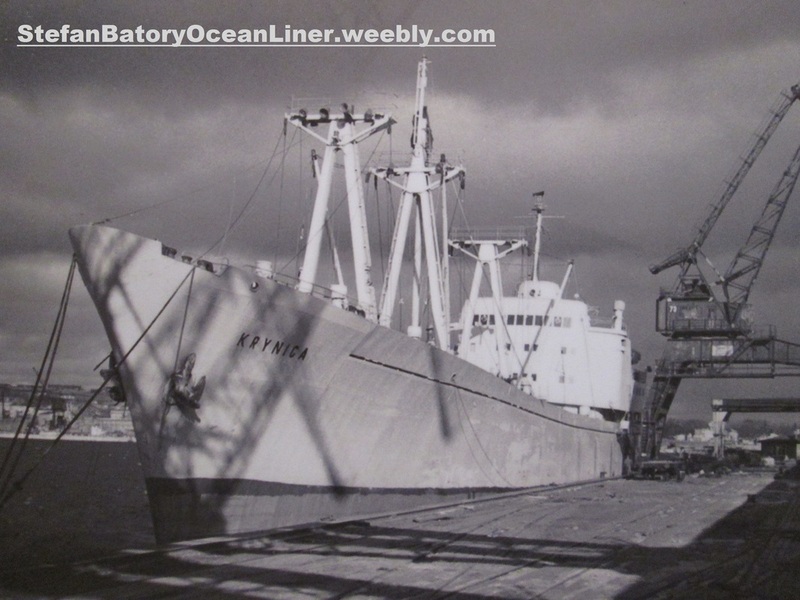 M/S BATORY docked at Pier 20 in Halifax on July 13,1940 and along with the Art Treasures of Poland carried a cargo even more precious hundreds of small Jewish children who were billeted with Canadian Jewish families during wartime. 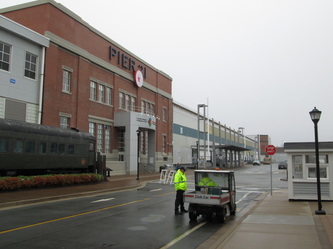 The Royal Canadian Mounted Police (RCMP) and railway police threw a total security blanket around the freight shed on Pier 20 in Halifax. The trunks, tubes and crates were transferred to rail cars and two days later they arrived in Ottawa and were taken immediately to the Polish Consulate-General on Stewart Street. The then Director of the National Archives of Canada, Dr. Gustave Lanctot, offered secure storage space in the Archives' Records storage building on the grounds of the Central Experimental Farm, near Ottawa. 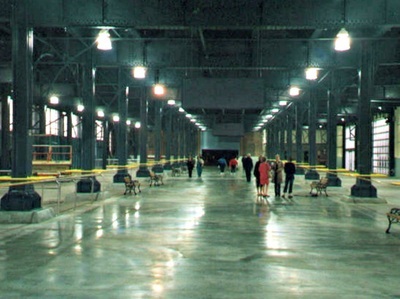 The Polish custodians inspected the space - found it was fireproof and had humidity and temperature controls and accepted the offer of free space. The treasures were moved in. 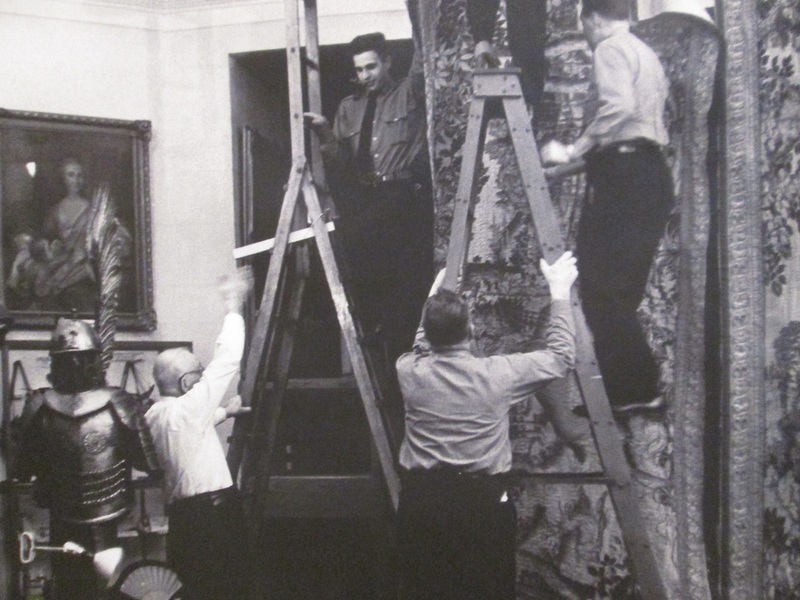 The tapestries were unfurled and hung from overhead rods and two skilled Polish weavers Mrs. Franciszka and Mrs. Martha Kozlowska were recruited locally and they set to work over the next nine months weaving, repairing and restoring the works of art. By this time, Poland had ceased to exist as a nation. The Gestapo ruled.The Polish government-in-exile was in residence in London. The Polish Art Treasures liberated from Wawel Castle were safe.But - were they? 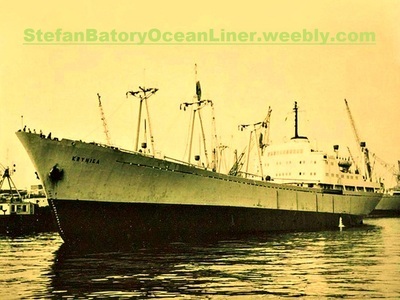 The forced march through Poland, Rumania and France and then the voyage aboard of M/S BATORY was a child's play compared with what happened over the next 20 years. The machinations that went on might qualify for several episodes of "MISSION IMPOSSIBLE" or, reduced to its absurdity, an excellent screen vehicle for Inspector Clouseau. 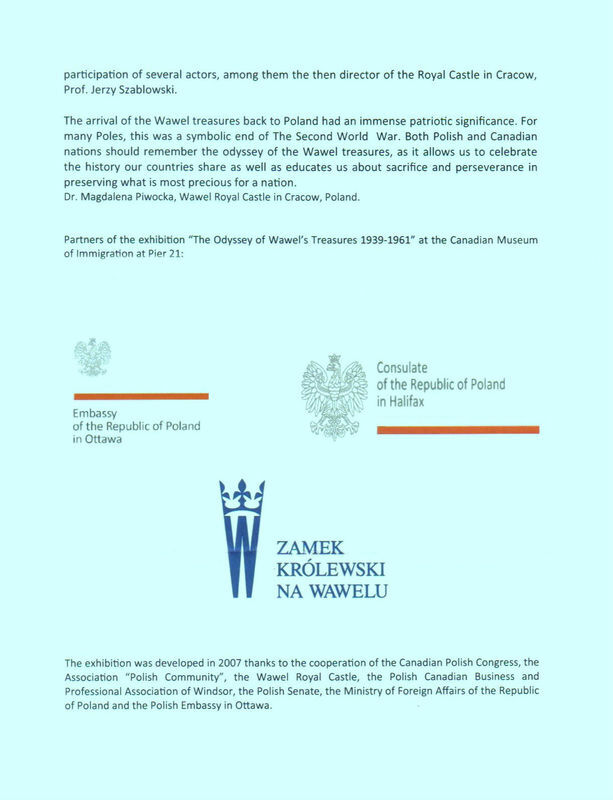 The in-fighting tarnished the reputation of Canada at the level of the United Nations, at UNESCO, on the floor of the House of Commons, at meetings of the Canadian Polish Congress, in the Polish press. There were even threats of an action before the International Court of Justice in Hague. And through all this, Canada was an innocent bystander who kept getting hit by ricochets from rounds fired by the Communist Government in Warsaw, the Polish Government-in-exile in London and Polish emigrants living in Canada and the United States. At no time did Canada ever accept responsibility for the custody or control of the Art Treasures. The only commitment made by Canada was Customs Free entry into Canada and proper storage facilities. Responsibility for custody and control rested with two custodians - representatives of the former Polish government "before the Hitler's invasion". The Polish custodians had the only keys to the secure area at the Experimental Farm. 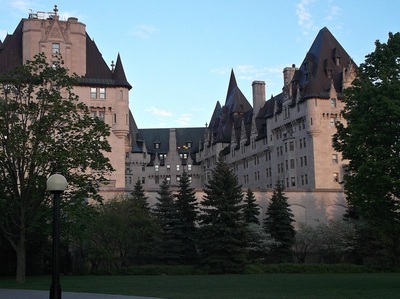 Over the next 20 years the squabble over who held legal title to the treasures involved four Canadian Prime Ministers - King, St. Laurent, Diefenbaker and Pearson - four Premiers of Quebec - Duplessis, Sauve, Barrette and Lesage - three Princes of the Church and one Prince-to- be - Cardinals Villeneuve and Leger of Canada and Cardinal Wysznski of Polartd and Archbishop Roy of Quebec - Dag Hammarskjold, Secretary General of the United Nations - and just about every Canadian bureaucrat whose name will be familiar to most Canadians - Charles Ritchie, A.D.P. Heeney, Escott Reid, Jules Leger, H.L. Keenleyside, Henry Davis, Pierre Dupuy, Laval Fortier, Peter Dobell, R.A.D. Ford, Jack PickeTSgill who was then a backroom operative in Prime Minister Mackenzie King's Office and Lester B. Pearson who was Under Secretary of State for External Affairs and later Minister. Sectetary of State for External Affairs Louis St. Laurent, Mike Pearson, Sidney Smith and Howard Green were dragged into what was essentially a disagreement among Poles as to the title to the property. So was Diefenbaker's Finance Minister Donald M. Fleming and Justice Ministers J.L. Ilsley and Davie Fulton. Poland's Ambassador to Canada (called Minister of the PolishRepublic), Eugeniusz Milnikiel, asked his government in Warsaw to recall him. After two years, he was "tired of the uselessness of his efforts and unchanging attitude of the Canadian Government". Soon, the Polish Art Treasures were on the move again. Two locked and sealed trunks which contained the Gutenberg Bible, Coronation Sword, the Chopin manuscripts and letters were surreptitiously removed from the Experimental Farm and desposited in the Bank of Montreal on Sparks Street in Ottawa by Dr. Swierz-Zaleski and Joseph Polkowski. Nineteen years would go by until the one surviving depositor agreed to release the trunks and save the Bank and Canadian Government harmless. 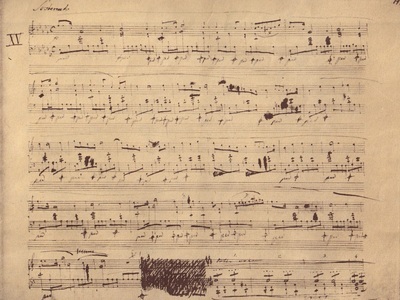 It was only through the intervention of renowned Polish pianist and Chopin exponent Witold Malcuznvski, that the trunks were returned in 1959 in time for the 150th celebration of the birth of Chopin. 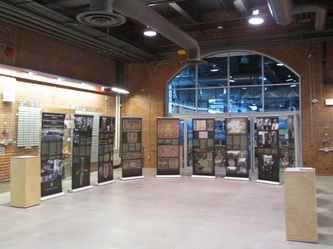 When the trunks left the Bank of Montreal on January 18,1959, the special security van was escorted to Union Station by the RCMP and four Polish diplomatic couriers. 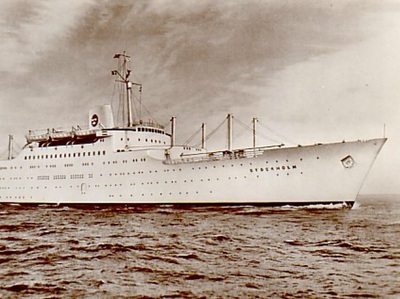 The trunks were placed in a special car, which carried them to New York to board the Swedish ship, M/S STOCKHOLM. 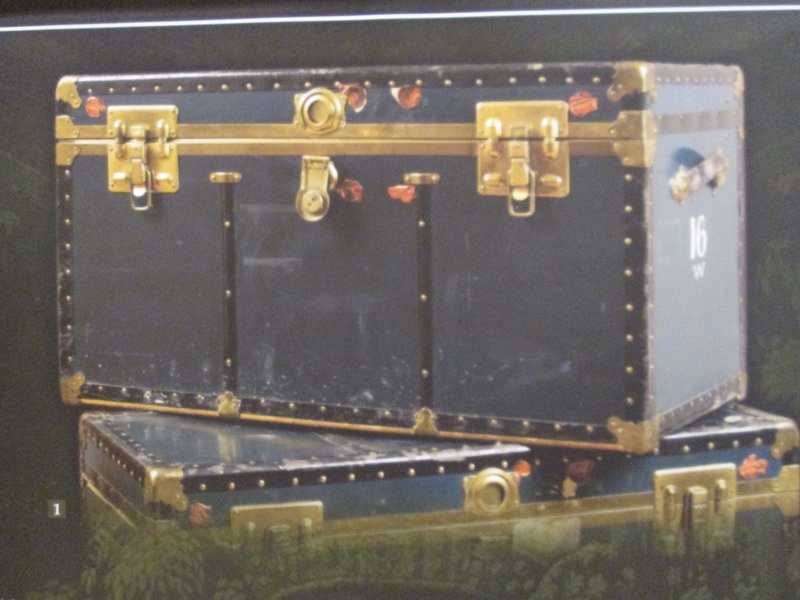 The two trunks were valued at $100 million but, really, their contents were priceless. They arrived in Warsaw on a sealed train on February 3, 1959. Before being returned to WawelCastle the relics went on display in Warsaw and 82,500 people viewed them over five days. More art treasures disappeared from the Farm. 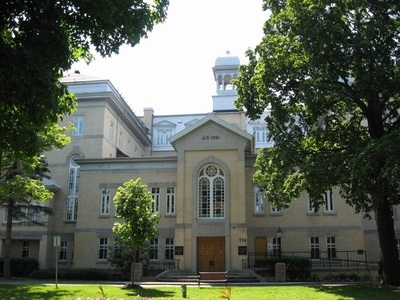 Eight cases were transported to the Convent of the Sisters of the Precious Blood, 774 Echo Drive, Ottawa, now the national office of the College of Physicians and Surgeons. The sisters insisted on elaborate security precautions, a receipt and a password :"THE HOLY VIRGIN OF CZESTOCHOWA". This clandestine transfer of eight trunks came at or about the time, Canada was about to recognize the new Communist Government of Poland. 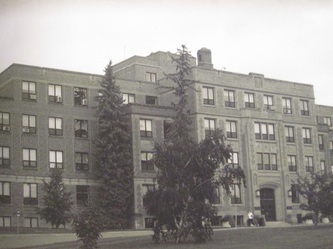 Even with the nuns' careful precautions, when Dr. Zaleski went to Echo Drive to claim the two trunks, they were gone removed 2 or 3 days earlier by "person who knew the password". 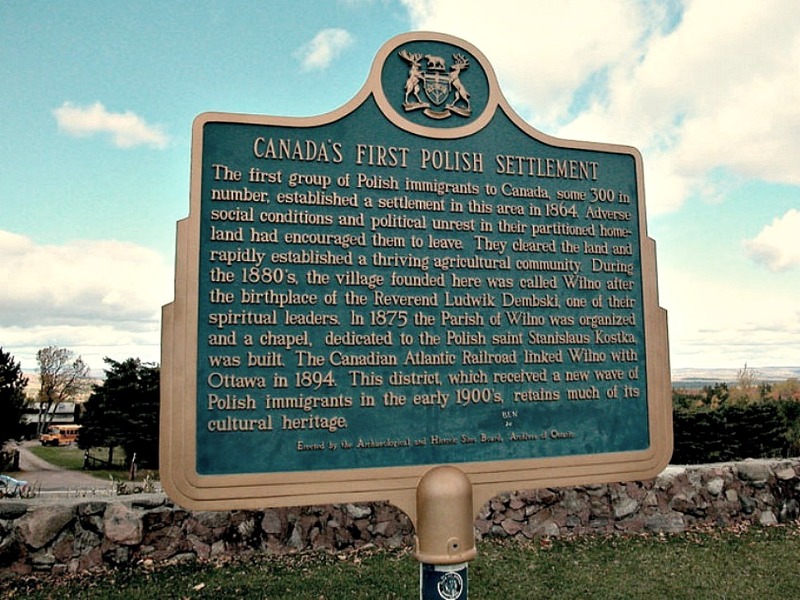 The parish priest of the Polish community of Wilno, Ontario, and his custodian, E. Kozar, came under suspicion. 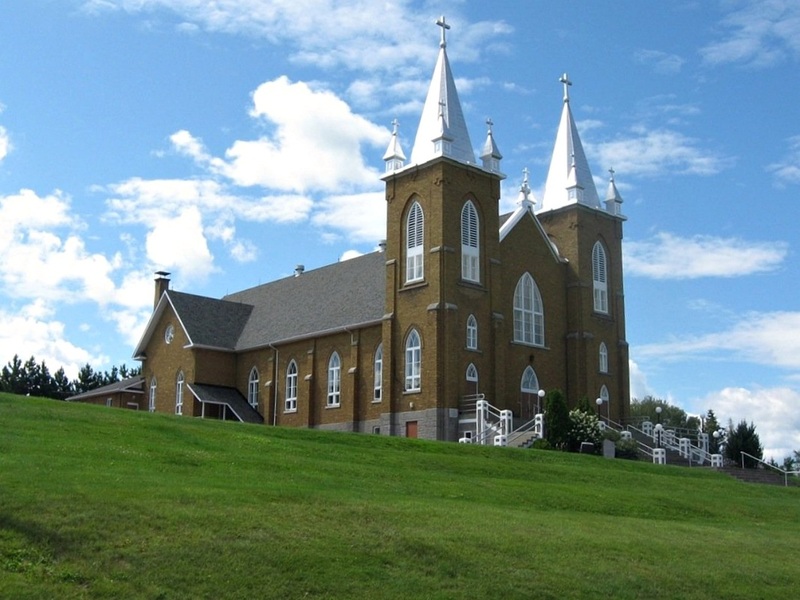 In 1950, four cases weighting 1,060 pounds were delivered to St, Mary's Church in Wilno. 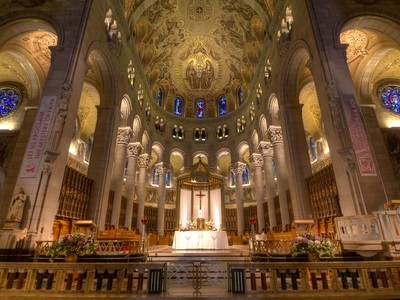 St. Mary's church claimed they contained "stucco composition". The government considered a Search Warrant and the Secretary of State for External Affairs asked Justice Ministerr J. L. Ilsley to "instruct the RCMP Commissioner to conduct an investigation to locate missing treasures". The Search Warrant against Father E. Wilowski of St. Mary's Church, Wilno (Ontario), and the custodian E. Kozar (described variously in External Affairs' memos as a "displaced person" or simply a "DP") was quietly dropped since to pursue it would strenghten the Polish case that Canada had responsibility for custody and control. Extemal Affairs files - 10 thick volumes of correspondence - most marked SECRET - were declassified and I was given access to them 10 days ago (March 1999). They reveal the RCMP did question the Toronto Art Gallery, Capital Storage Company of Ottawa, the Bank of Montreal, a Redemptorist Monastery in Ste-Anne de Beaupre, Hotel Dieu Convent in Quebec City and the Convent of the Precious Blood in Ottawa. 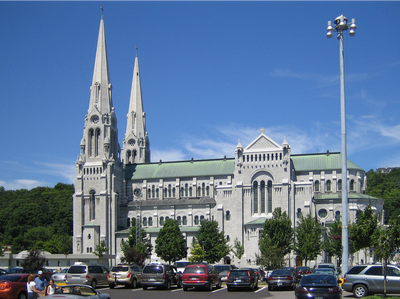 Quebec Premier Maurice Duplessis went ballistic and issued a press release condemning the RCMP who "without search warrants and in an illegal manner forced their way not only into the convent of the Sisters of Hotel Dieu but also into their cloister". 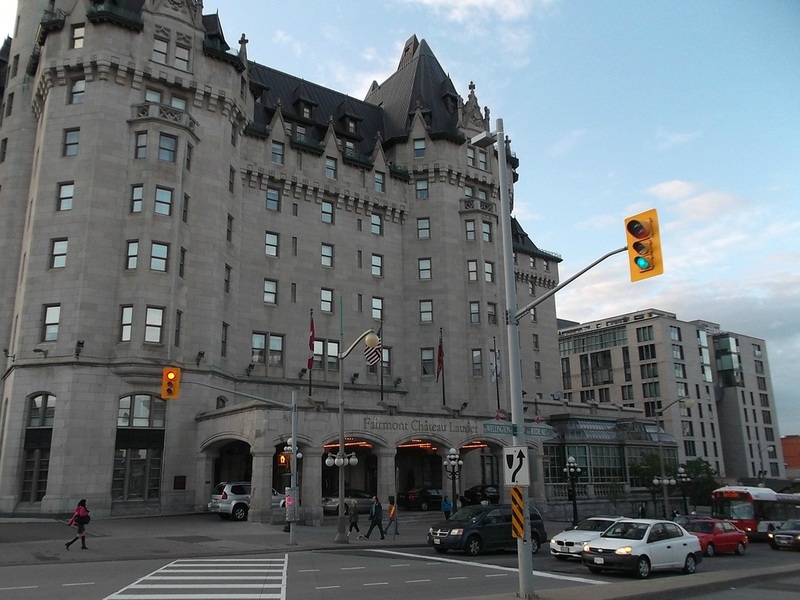 The truth was the RCMP did present them-selves at Hotel Dieu, without a Search warrant, but the sisters voluntarily and willingly offered to show the police officers around the premises. Premier Duplessis' press release was reason enough for Conservative Member of Parliament for LakeCentre, John Diefenbaker, to rise in the House of Commons and demand that the Minister of Justice table the police reports. The Minister of Justice refused his demand. Cardinal Villeneuve of Quebec ordered the Superior of Ste-Anne de Beaupre to surrender the 23 trunks of Polish Art Treasures that had been left on deposit there. On May 4,1948, the 23 trunks turned up at Hotel Dieu. 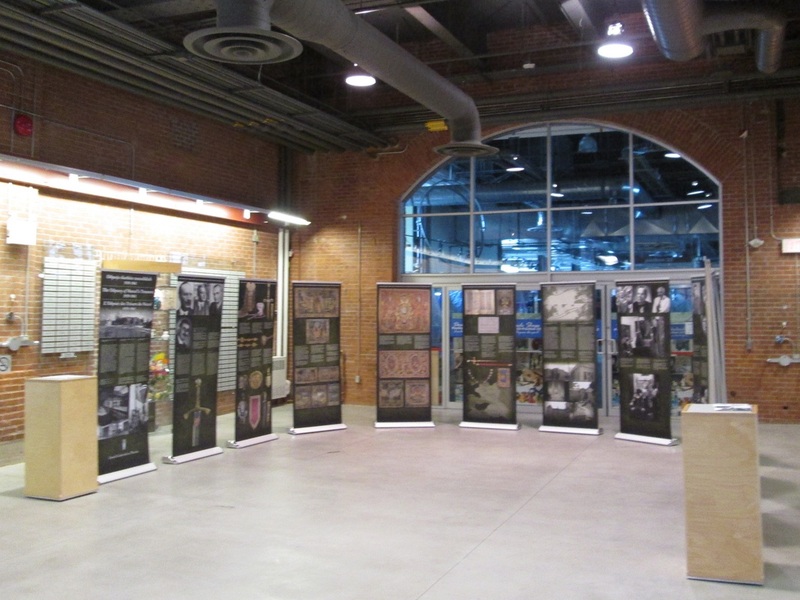 The Quebec Premier had them impounded and removed to the ProvincialMuseum behind locked doors and under guard. 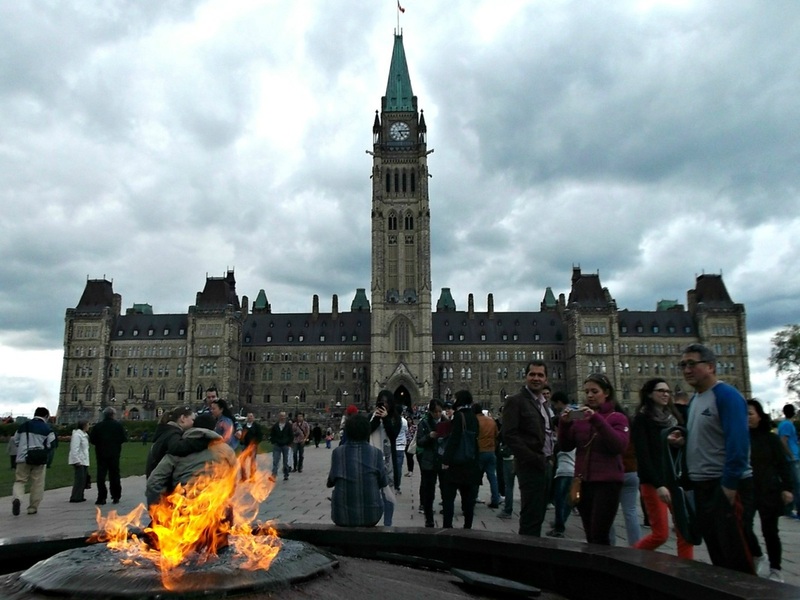 Frosty relations between Ottawa and Quebec became frostier. Premier Duplessis told Canada's Consul in Boston, Paul Beaulieu, on October 6,1949, he did not recognize the post-war Polish government. It is unclear why Canada designated Mr. Beaulieu to approach Mr. Duplessis unless there was some special relationship. More than likely it was because Mr. Beaulieu was one of a few senior External Affairs hands who was a francophpne. An External Affairs' memo - a legal opinion - in the Archives files might have driven Premier Duplessis' blood pressure up a few points. The bureaucrat threw the cat among the pigeons by asking if Canada did indeed have responsibility for custody and control because Quebec was "political sub-division of the CanadianState". The Polish Embassy in Ottawa sent External Affairs a strong note charging Canada, had lost control of the collection and was unaware of its disposal. A later, equally strong note, held Canada responsible for the deteriorating condition of the collection. External Affairs Minister Mike Pearson had his own means of differentiating between the Communist regime in Warsaw and the Polish-Government-in-exile. He called the government-in-exile "the London Poles". Maurice Duplessis issued yet another press release. He vowed that "no deal, agreement or compromise will ever be made with the contemptible Communist Government of Poland for their return". Before the echo of his words died out, former Polish Ambassador to Washington and then Poland's Deputy Minister of Foreign Affairs' met with Mr. Pearson at the United Nations. In a Memo to File and to his Undersecretary dated February 5,1957, Mr. Pearson wrote "I told him we were not particularly anxious to get this matter embroiled in domestic policies and that we had an election coming up." An election was held four months later and the St. Laurent Government went down to defeat to John Diefenbaker who formed a minority administration. Meanwhile, Maurice Duplessis rattled sabres again. 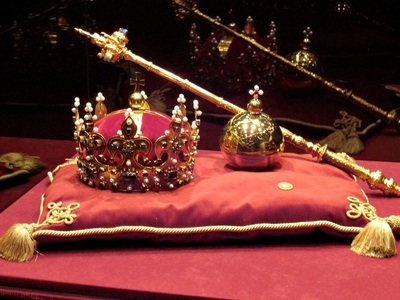 He would not surrender the treasures until ownership was detennined by "a competent court". Former Canadian Ambassador to France Pierre Dupuy, the future Commissioner General of Expo 67 (the 1967 Montreal World's Fair) was being pressured to ask Mr. Diefenbaker to "speak to Duplessis". Mr. Diefenbaker wisely declined. The disputes over ownership were not confined to govemment-to-goverment. 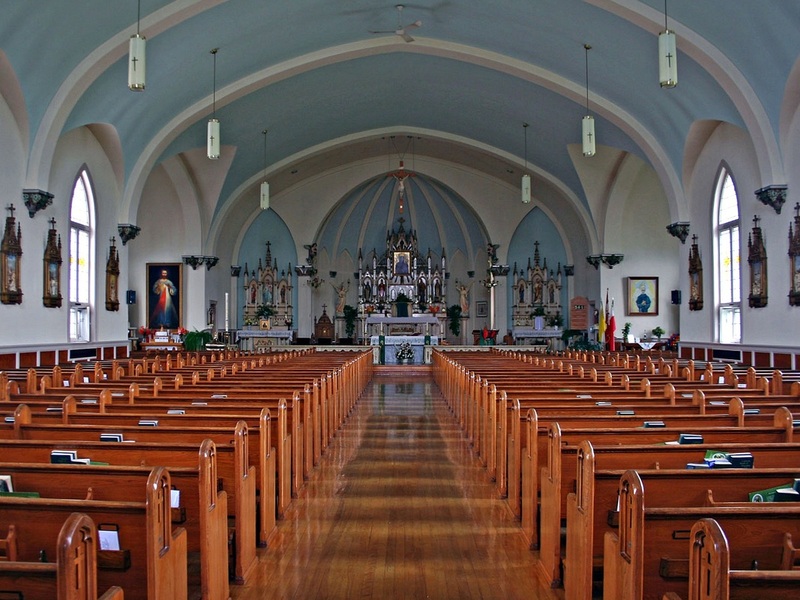 The Catholic Church and some private individuals came forward to lay claim to ownership to some items. 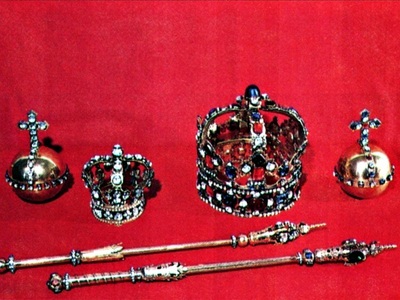 Polish Countess Tarnowska claimed a gold goblet. A private citizen, Charles Koppe, Antwerp, Belgium, claimed ownership of the Coronation sword of Polish kings and other portions of the treasure. 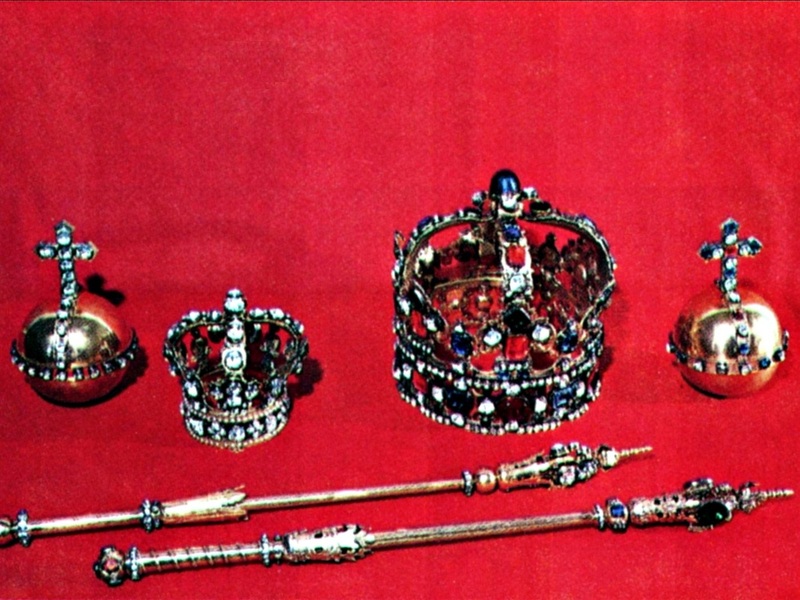 The Coronation sword had been part of booty taken by Russia in 1795. It surfaced in Paris in 1864 in the possession of a private collector and was bought by Russian antique collectors and given to the HermitageMuseum in St. Petersburg, Russia, that same year. The 1921 Treaty of Riga repatriated it to Poland. 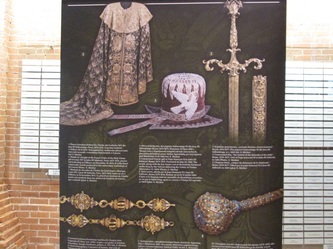 The Papal Nuncio, Most Reverend Ildebrando Antonuitti, claimed the Burgundy Arras Tapestry "LOHENGRIN LEGEND" for St. Catherine's Church in Cracow. 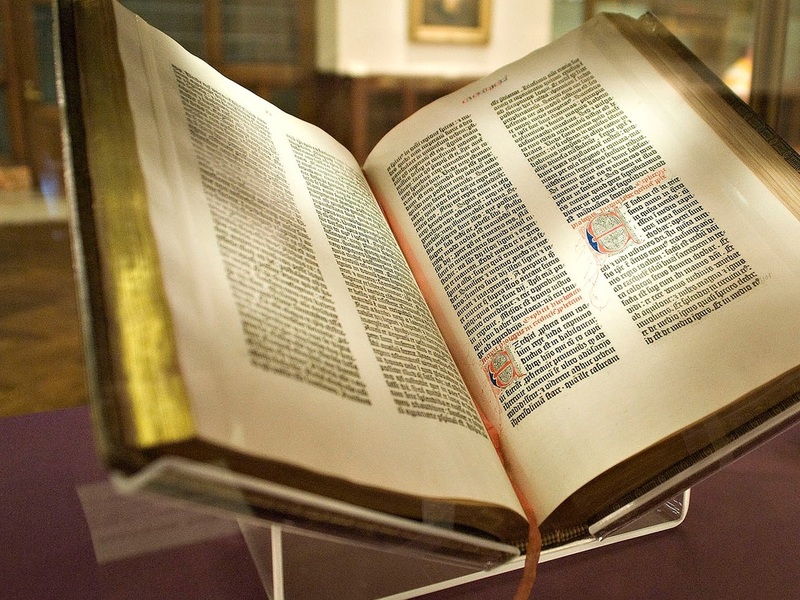 He also claimed the two-volume Gutenberg Bible for the See of Pelplin and various other small items for the Archbishopric of Cracow. Lester Pearson wrote in a memo to the Prime Minister, Louis St. Laurent, that Canada "has no obligation to return to the PolishState part of the collection not been impounded by Duplessis". One can only presume that all of the Polish Art Treasures found their way home to Poland. No official inventory was ever given to Canada. The two designated Polish custodians were Dr. Zaleski and Polish Consul Victor Podorski. When the two trunks on deposit with the Bank of Montreal were opened it was found the original seals had been tampered with and the inventory that was supposed to be inside was missing. Anything was possible under such lax security. It has been recorded that four rugs from the collection ended up in the Ottawa home of a senior member of the Polish legation. When Maurice Duplessis died his successor, Paul Sauve, was much more co-operative and worked towards repatriating the balance of the collection. He died after a short time in office as did his successor, Antonio Barrette. It was left to Liberal Premier Jean Lesage to square the circle. 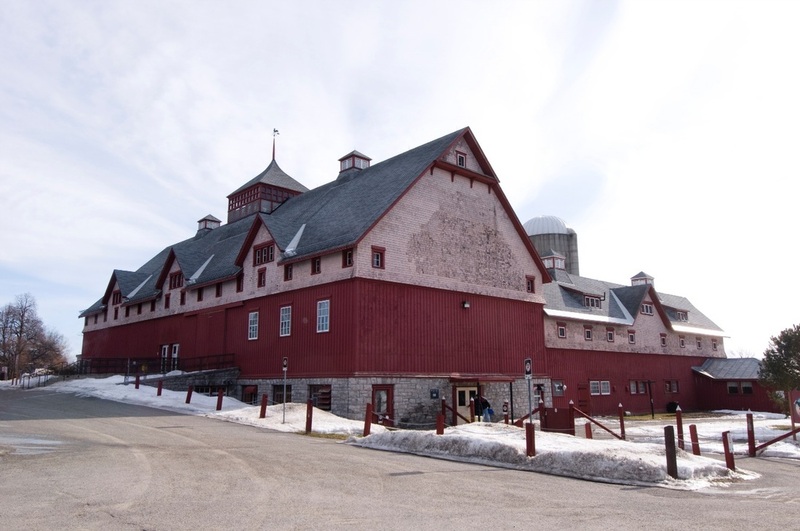 On January 21,1961, the last part of the collection left Ottawa in two heavily guarded security vans escorted by police and RCMP to Rock Island, Vermont. State troopers escorted them through Vermont, New Hampshire and Massachusets to the port of Boston. The value of the collection was so huge that 28 insurance companies from France, England, Sweden, Japan, Mexico, Egypt, Russia and the United States divided up the risk against damages or losses on the ocean crossing. The Polish Art Treasures were home at last. The fears of the Polish government-In-exile were unfounded. Unlike the Russian Czars of old, the rulers of Poland did not cut Tapestries up for seat cushions and they did not cut holes in tapestries which hung on walls and blocked door passages. 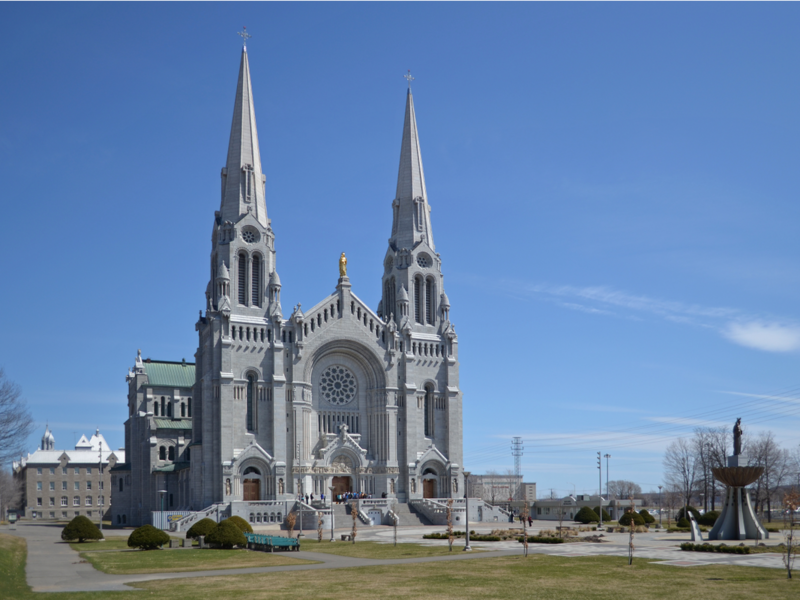 The author has two lingering questions after spending hours in the Archives reading and digesting three feet of 50-year old documents: Who removed the eight trunks from the Convent of the Sisters of the Precious Blood on Echo Drive in Ottawa and where did they end up when they "ostensibly disappeared"? The files tell us there were 33 trunks in Canada - two at the Bank of Montreal, 23 at various venues in Quebec and eight at the convent. 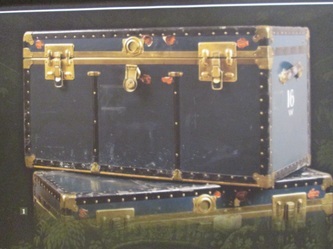 The two trunks from the Bank of Montreal were returned to Poland as is in 1959. In 1961 only 24 trunks were on board M/S KRYNICA when she sailed from Boston to Poland. 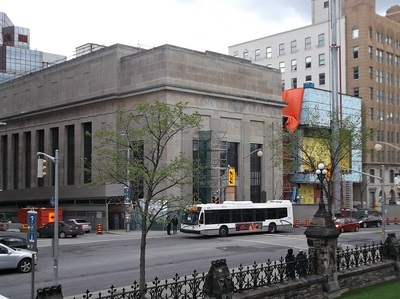 Are there still Polish Art Treasures secreted away somewhere in Ottawa? Juz na poczatku II Wojny Swiatowej w 1939, bezcenne skarby narodowej kultury jak insygnia wladzy krolewskiej, rekopisy Chopin-a, liczne dziela sztuki... w obawie przed zniszczeniem i grabierza przez hitlerowcow i sowietow, postanowiono ewakuować. Skarbiec Zamku Królewskiego na Wawelu i regalia z Zamku Królewskiego w Warszawie zostały wywiezione do Rumunii. Następnie przetransportowano je do Francji i ukryto w Państwowym Składzie Mebli w Aubusson. Po 1944 roku, dwaj kustosze opiekujacy sie nimi w Kanadzie, Józef Polkowski i Stanisław Zaleski, w obawie przed roszczeniami do skarbu pro-sowieckiego rządu PKWN zdecydowali zdeponowac najcenniejsza jego czesc w ottawskiej filii "Bank of Montreal" mieszczacego sie na przeciwko kanadyjskiego parlamentu. 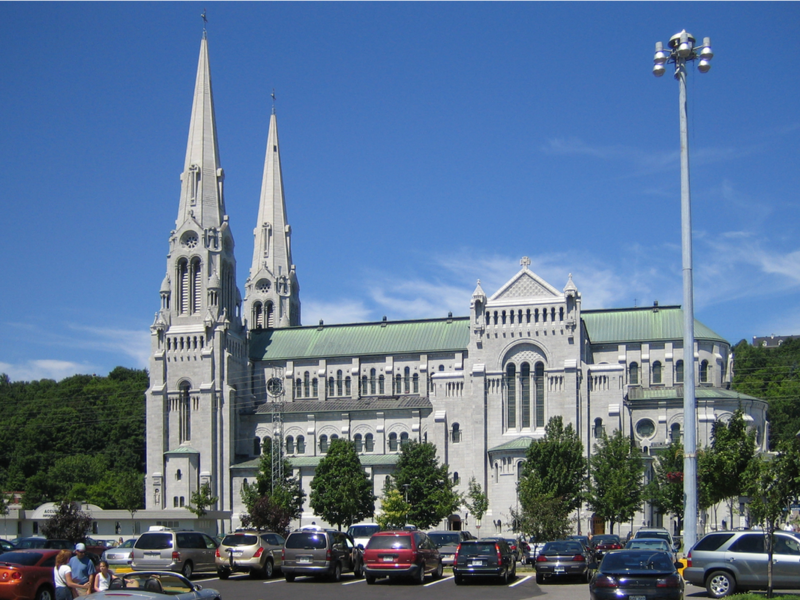 Pozostala czesc zostala umieszczona w klasztorze "Sisters of the Precious Blood" przy ulicy 780 Echo Drive w Ottawie, w klasztorze-szpitalu "Hotel Dieu Quebec" w Quebec City i w sanktuarium "Sainte-Anne-de-Beaupré", 30 km na polnoc od Quebec City. 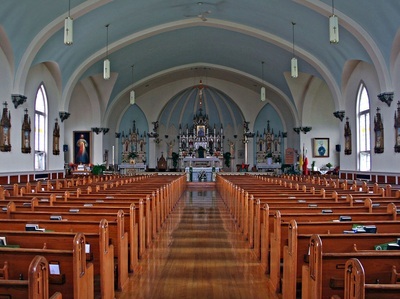 Tymczasowym miejscem ukrycia skarbow byl tez polski kosciol "St. Mary's" w zamieszkałej przez Polonię osadzie Wilno, ok 180 km na zachod od Ottawy. W kolejnych latach, Skarby Wawelskie przechowywane w Kanadzie, stały się elementem antykomunistycznej gry politycznej premiera Quebecu, Maurice'a Duplessis, który skutecznie blokował starania władz Polskiej Rzeczypospolitej Ludowej o zwrot depozytu. On też postarał się, aby bezcenna polska kolekcje skarbow krolewskich przechowywana w kilku czesciach w roznych klasztorach ponownie polaczyc i umieścić w Muzeum Prowincji Quebec, do ktorego ona ostatecznie trafila w 1948 roku. Po wielu perypetiach związanych z problemami prawnymi i dyplomatycznymi polskie skarby narodowe powrocily do Warszawy i Krakowa partiami... Pierwsza ich czesc zostala wyslana do Polski we wrzesniu 1948 na pokladzie polskiego statku pasazerskiego M/S SOBIESKI. Aczkolwiek, byly to jedynie trzy niewielkie skrzynie i dwa kufry. Wydarzenie mialo wiec charakter raczej symboliczny... Potrzeba bylo jeszcze wielu negocjacji aby autentyczne przekazanie skarbow do komunistycznej Polski moglo nastapic. Doszlo do tego ponad 10 lat pozniej. 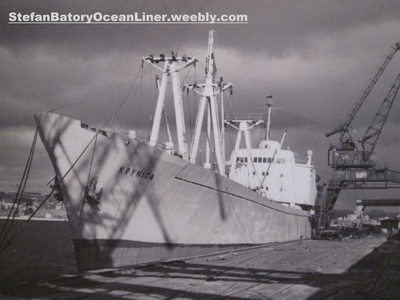 Dwa nastepne "prawdziwie" znaczace transporty zostaly zorganizowane w 1959 na pokladzie szwedzkiego statku M/S STOCKHOLM i w 1961 roku na pokladzie polskiego drobnicowca M/S KRYNICA.